Americans love pets. Well over half of US households-about 85 million families-have at least one pet, a trend which has steadily increased over the last few decades. That’s for a good reason: studies show that having a pet around helps lower blood pressure, decrease feelings of loneliness and improve opportunities for exercise. Most importantly, however, any pet owner knows the bonds that form with your dog, cat or even hamster are important ones-which means that when it comes time to move, it’s critical to find a home that will accept your pet. Before you choose your new home, make sure to check this list if you want to ensure a house will support your pet. 1. Check out the floor of the houses you view. You might overlook this basic part of the home, but it’s one of the most important details for your pet. If you have a dog or cat that is on the older side, consider that they need a floor with enough traction to comfortably move around on their old joints. Slippery floors, such as tile or hardwood, will be harder for them while carpet is most ideal. However, you should also consider that carpet can more easily trap dander and hair. If you want one with a pattern then go for small patterns as stains won’t show easily on this. 2. Think about the outside of your house. Is there a yard? If so, is there space to let a pet roam? If you are near a busy road, make sure there is a sturdy fence that will stop your pet from running into traffic. Even little things count, like checking to see if there is an outside faucet that could be used to clean pets’ paws after a muddy walk. 3. 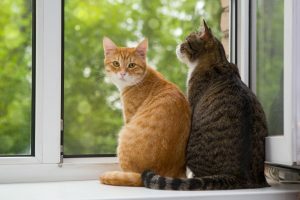 If you have a cat, look at the windows in your house and check if they are accessible to a pet. Many cats prefer to hang out on windowsills or merely look through windows-often for hours at a time. Besides being a perfect view for a curious cat onto a world full of birds and squirrels outside, windows offer a warm spot of sunshine-perfect for your cat to bask in. 4. If you are moving into a new house, it pays to check how accessible the cabinets are, particularly in the kitchen and bathroom. If you have a cat or dog who likes to go exploring-including opening doors-then you might run the risk of accidentally exposing them to foods or drugs that can be very dangerous for pets. For dogs, some of the most dangerous items include sugar-free gum, chocolate, grapes or raisins, and antifreeze. All of these are attractive to dogs but can lead to vomiting, diarrhea or even liver failure. Look at that group of curious dogs and puppies, seem familiar? 5. Look at the garden to see what kinds of plants are being grown and ask if any interior plants will remain after the owners move out. 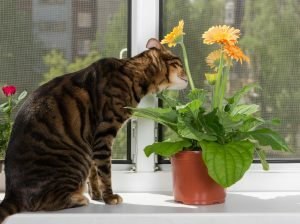 This is important because pets-particularly cats-are attracted to many plants that can be dangerous to their health. Common plants that could get your cat sick or worse include aloe, azalea, tulips, mistletoe, ivy and thyme. The list is mostly the same for dogs, but also includes plants like lilies, daffodils and more. 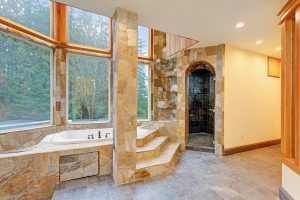 After you move into your new home, it pays to do a thorough check of the house and clean up anything the previous owners might have left behind. Not only does this help to tidy up the place, it also protects your pet from any dangerous household products that they might be able to access. Keeping all the above in mind during your stressful move might seem difficult but as any pet owner knows, keeping your furry best friend happy and healthy is its own reward.